Zagoria is a beautiful mountainous area in the Greek district of Epirus. It lies about 30 km. north of the town of Ioannina and includes 46 villages, of which 44 are inhabited. The houses are in a typical Zagori-style, built with stones. Vikos Gorge in Zagoria is very famous, so is the Dragon lake. Zagoria is a popular hiking area, it consists of a beautiful nature which gradually starts becoming more familiar to the ordinary tourist. Zagoria, the Greeks call it the Zagorochoria area, literally means 'behind the mountains'. It is originally a Slavic name, ZA means behind and GORA means mountains. The beautiful nature and the villages are breath-taking. The area is divided in three parts; the western part, the central part and the eastern part. When we visited Zagori ourselves, we stayed several days in the village of Ano Pedina. Ano Pedina is a picturesque village at 1000 m. above the sea level. We went there by car, it is worth to mention that the roads in the area are fine. 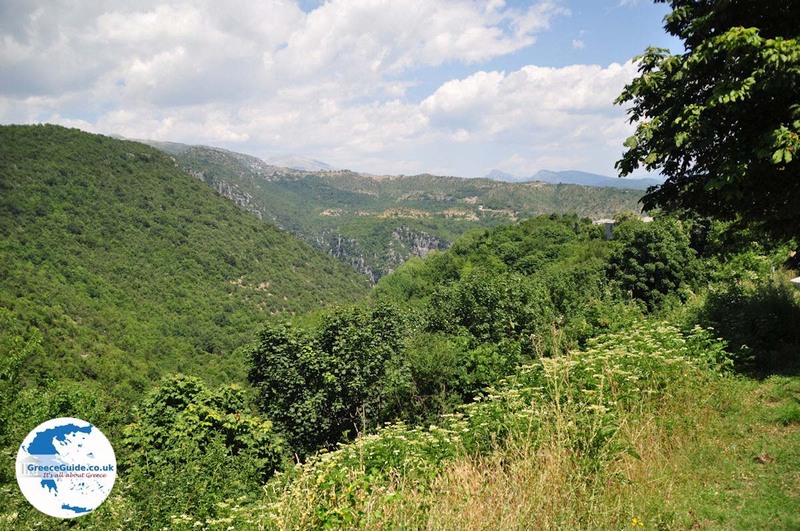 From Ano Pedina you can explore the entire region; from here you can visit easily the Vikos Gorge, which is one of the deepest gorges in the world. A very good view of the gorge you have from the village Vikos, from Oxia, from the small monastery near Monodendri and from Beloi near Vradeto. The views over the gorge are striking. The whole area around the Vikos Gorge is beautiful and very impressive, actually one cannot describe it in words, it is something you have to experience yourself. All houses in this region are built of natural stone. The villages sometimes seem magical, like in a fairy tale. The village of Ano Pedina has a rich cultural tradition and beautiful medieval churches. Here is also the monastery of Evangelistria located. It lies on two mountain slopes in the middle of a green nature. In the village there are some beautiful traditional hotels where you can stay. A very welcoming and distinctive hotel is Hotel Porfyron, we stayed here a few days and we had a wonderful time, here you will really relax. Dilofo, a picturesque village where it seems as if time has stood still. A nice town house where you can stay is Archontiko Dilofo. 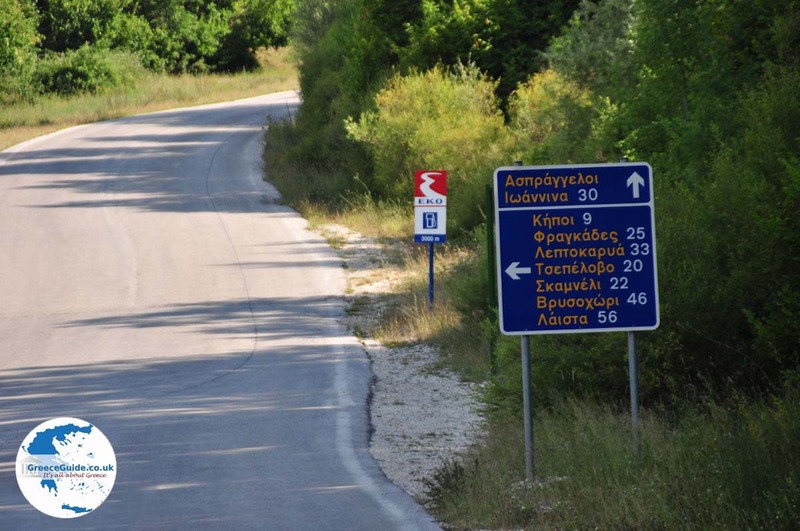 Also visit Kipi, Vitsa, Koukouli but also all the other villages, all of them are worth a visit. 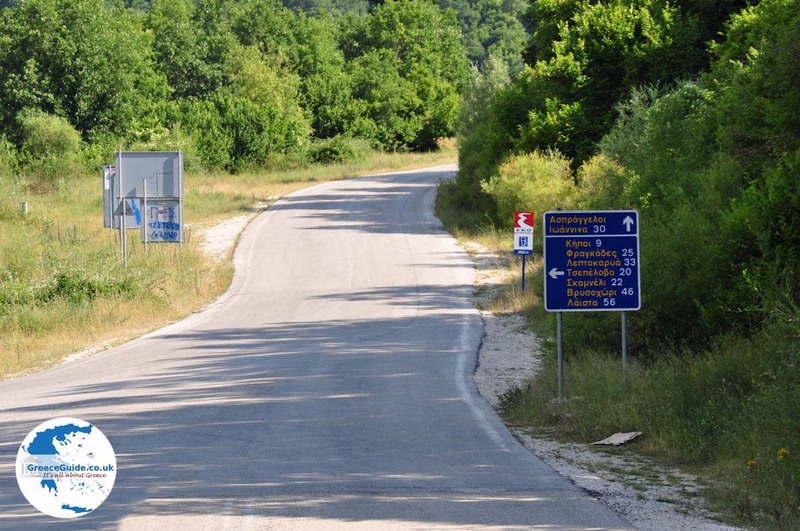 Ioannina: Where on the map is Zagoria located?